Gloria E Peacock, 86, of Melrose, Florida passed away September 10, 2018. 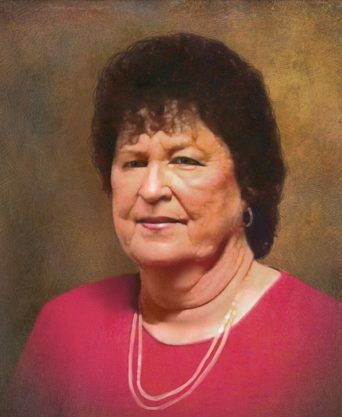 She was longtime resident of Callahan, FL and business owner of Son-Glo Steel with her husband Sonny Peacock. She attended Wingate Rd Baptist Church where she loved to sing in the choir. She later attended First Baptist Church of Keystone Heights. 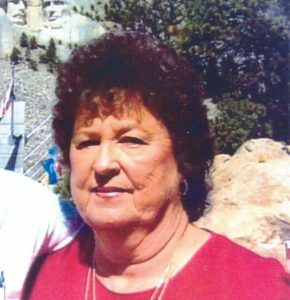 She enjoyed crafts, travel, bowling, and cooking for and taking care of her family. She is preceded in death by her loving husband James “Sonny” Peacock and several brothers and sisters. Survivors include her daughters Brenda (Steve) Holland, Pam (Allen) Beverly, Lorri Peacock, sons Allen (Sheryl) Peacock and Marty (Kelly) Peacock, 16 grandchildren, 27 great grandchildren, 3 great great grandchildren, brother Leslie Gordon, and a multitude of nieces and nephews that she loved dearly. Funeral Service will be 10 AM Saturday September 15, 2018 at Gardenview Baptist Church 3139 Armsdale Road Jacksonville, Florida 32218. Officiated by Pastor Todd Alvarez. Interment will follow in Evergreen Cemetery 4535 Main Street Jacksonville, Florida 32206. A visitation will be held 6 PM to 8 PM Friday September 14, 2018 at Gardenview Baptist Church. My sincere condolences for your family’s regrettable loss. I will keep you in my prayers. So sorry for your loss. Our thoughts and prayers go out to the family. Brenda, please accept our sincere condolences for the loss of your mother. Our thoughts and prayers are with you and your family. Brenda, I know you will miss her. She sounds like a wonderful woman we would like to have known. Our prayers are with you and Steve.